(Natural News) Lithium ion batteries may be the current global standard when it comes to battery storage technology, but numerous alternatives are also present. Sodium-ion batteries in particular are quite promising, and now a team of researchers have just discovered a way to make them much more efficient. Compared with lithium ion batteries, sodium-ion batteries still have a lot of catching up to do as far as the design of their anodes are concerned. For their special sodium-ion batteries, the researchers who conducted the study relied on a method of designing electrodes that is rooted in old chemistry research. The study was conducted by researchers from Natron Energy, a Palo Alto, California-based batter technology company, with the help from scientists at New York University and the U.S. Department of Energy‘s (DOE) Berkeley Lab, where they conducted their X-ray experiments. 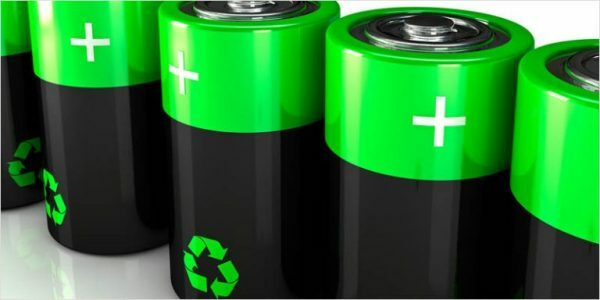 As a report on the study revealed, the researchers were able to discover a novel chemical state for manganese, which they leveraged to build a high-performance, low-cost sodium-ion battery that could potentially be used to power future solar panels as well as wind turbines that could supply electricity to the electrical grid. According to Wanli Yang, a staff scientist at Berkeley Lab, the key difference in their new battery creation is in the anode. Instead of going with the normal carbon-based anode design, they opted to use a blend of the following elements: manganese, carbon, and nitrogen. Meanwhile, their design for the cathode contained carbon, copper, iron, and nitrogen. Because of the change that they made to electrode – combining manganese as one of the key elements – the researchers were able to create a better version of the typical sodium-ion battery. According to Colin Wessells, the Chief Executive Officer of Natron Energy, their change improved the battery in several facets. “One of the direct benefits of utilizing such materials for both electrodes in the battery is that neither of the two electrodes fundamentally limits the power capability, cycle life, or cost of the device,” he explained. Upon final analysis, the researchers found that their battery was able to outperform the DOE’s price targets and cycle-life for grid-scale energy storage. Wessells further noted that their battery is quite stable, the materials needed to build it are readily available, and that its overall cost can be deemed competitive compared with lead-acid batteries. The fact that it also has a lesser environmental footprint than conventional batteries is just the icing on the cake. Researchers have started beta testing prototype versions of their new battery. The researchers hope that their work could lead to even more discoveries and innovations. Certainly, that would be a fine development that would lead to more progress in the field of battery storage technology. All that’s really needed now is to find a proper application for it. Read more about other battery-related innovations in Power.news.